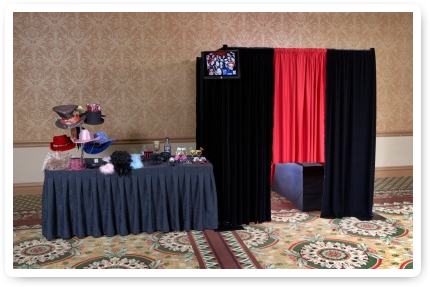 Our photo booths are spacious and can fit up to 15 adults. They come with the latest photo studio technology. 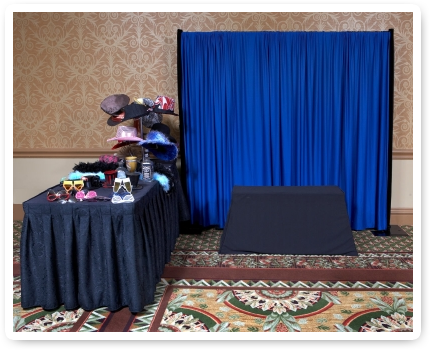 We use a 15 megapixel, wide angle camera with a professional lighting system. 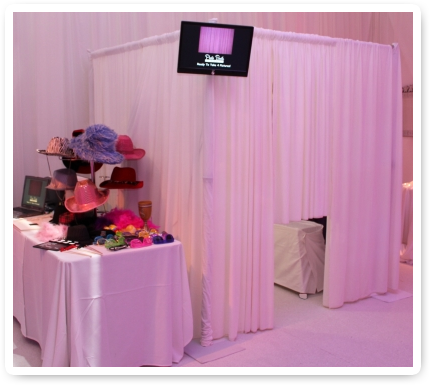 Our booths are draped in velvet which is perfect for elegant events! Our attendants also have a monitor outside the booth with a live video feed of inside the booth. 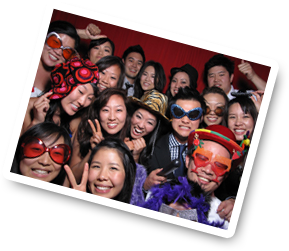 We can zoom the camera in and out depending on the size of the group inside the booth. To our knowledge no other company can do that! 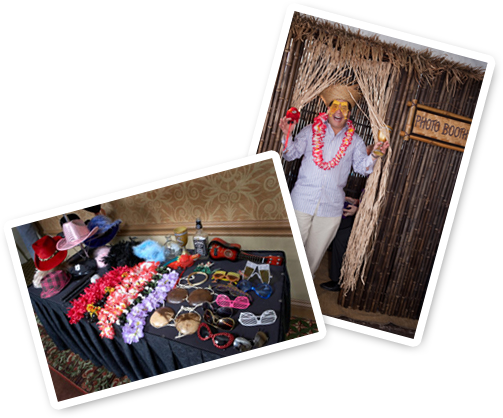 Let Photo Booth Pro bring the latest technology and professionalism to your special event! Easily Fits up to 15 adults! 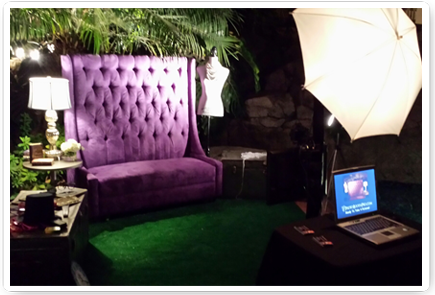 External Monitor with LIVE Video of inside the booth!. 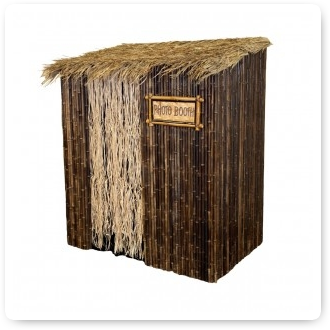 Perfect for events in homes and on yachts! Easily fits up to 15 adults in the shot! (Camera equipment would sit in front of the bench). 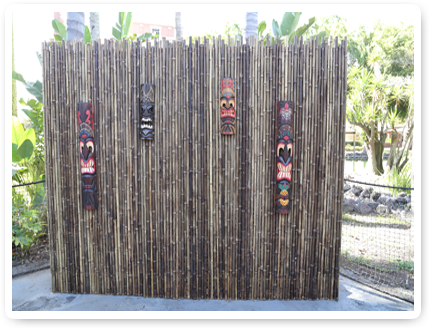 Perfect for luaus and beach weddings! Easily fits up to 8 adults. Easily fits up to 15 adults! External Monitor with LIVE Video of inside the booth! The lighting in the room will beautifully reflect on the drapes!